An ITIN home loan is designed to allow borrowers to obtain a mortgage despite not having a social security number. While this may be good news for people who live within the United States undocumented, these loans have promoted plenty of debate as to who should be allowed to purchase a home and who should not. ITIN is an acronym for Individual Taxpayer Identification Number. Not everyone is eligible for a social security number, so the Internal Revenue Service issues an ITIN to people who live and work within the United States in an effort to track their income and allow them to pay taxes. An ITIN home loan makes it possible for these undocumented workers to purchase a home, even if they reside within the United States illegally. People are supposed to be able to obtain an ITIN from the IRS without fear of the information being forwarded to the United States Citizenship and Immigration Services. The IRS is only concerned with getting the proper tax income from people and is not in the business of searching out illegal immigrants within the borders of the United States. For this reason, people who may not have otherwise ever paid taxes have no reason to avoid paying, but now also have the capability to request credit. 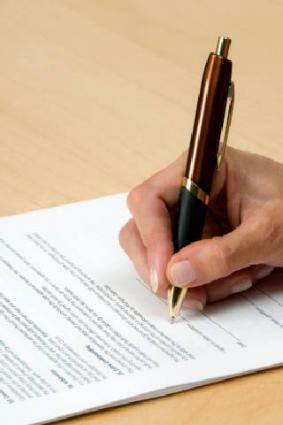 Mortgage loans used to be issued routinely without much documentation from the applicant. These were called No-doc loans and have become quite undesirable to lenders because of the high degree of risk associated with lending money to borrowers who cannot document employment histories, income history, or other documentation. Nonetheless, lenders still remain who are willing to make these types of loans. It is these lenders who are most likely to offer ITIN home loans to applicants who do not have social security numbers or permanent residency within the United States. ITIN mortgage loans are considered subprime. Lack of credit history. Credit histories are based on social security numbers, and therefore it may be difficult - if not impossible - to gauge the creditworthiness of an applicant who has an Individual Taxpayer Identification Number instead of a social security number. Problems with income verification. Employers are reluctant to document the wages they pay to workers who are not authorized to work within the United States. Many undocumented workers receive cash and have no way to prove their incomes. Problems verifying a good payment history. Some mortgage lenders will give loans to people who don't have credit histories as long as they can prove a payment history of some sort. Since undocumented workers may not have utilities and other bills in their own name then applicants may have difficulty with proving they can make payments in a timely manner. ITIN home loans are issued to people, but the process takes much longer on average and the amount of fees can be astronomical compared to a conventional loan. The lender takes on much more risk when approving an ITIN loan and expects to be compensated accordingly. Since people without social security numbers don't have many other options available to them, if they want to own a home they either need to save up the money to buy the house in cash or instead seek out a loan designed for people in their situation. The interest rates with these loans are usually much higher than with traditional mortgage loans. Not everyone who has a ITIN illegally resides within the United States. There are some immigrants who reside within the country legally and with full documentation, but do not have social security numbers. ITIN mortgages are for this population as well. The more documentation available regarding an applicant's income and credit history, the easier the application process will be.